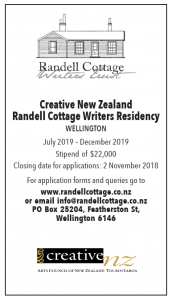 Chevening, built in 1929 at 90 Salamanca Road, Kelburn, has won a swag of architectural awards for its owner, Susan Price whose family donated Randell Cottage as a writers’ residency. In 2011, Susan completed the project which seismically strengthened and refurbished the four-storey block of apartments. It reached 100% of the current building code and regained its former glory as an elegant 1920s building inside and out. The four awards recognise Susan’s passion and hard work, and the work of a team which included: engineer Matthew Lander(Beca), architect Lianne Cox (Studio Pacific Architecture) and builder was Brent Henderson of Fletchers. The first owner was Miss Emma Rainworth, the architect was Llewellyn Williams, and Fletchers were the builders. 1) The Athfield Cup, Wellington Branch of the New Zealand Institute of Architects. The Athfield Cup is presented annually to a Wellingtonian (not a practising architect) who has contributed to the conservation of Wellington’s architectural scene. our precious heritage where at all possible. I was proud to have been involved with such a rewarding project. “ Matthew Lander, engineer. kitchen returned, along with new finishes and Susan’s period furniture. Chevening’s characteristic 1920s elegance is once again to the fore. I can only praise Susan for having the dedication and courage to go through this process, the work of Beca in structure and process management, and Fletchers for making this happen on site.” Lianne Cox, architect. Awarded to Susan Price on 22 March 2012. Presented to Lianne Cox of Studio Pacific Architecture Ltd, 31 October, 2012. 3) NZ Society for Earthquake Engineering Earthquake Strengthening Awards 2013 (Heritage Award). The aim of these awards was to show case examples of seismic upgrade projects to promote a positive and inspirational message to building owners and the public. All 31 entries were displayed publicly at the Wellington City Council’s ‘Wellington Rocks’ Earthquake Building Safety Expo, and the NZEE Conference, 26-28 April 2013. 4) Wellington Civic Trust Awards 2013: the Grant Tilly Memorial Award. The Wellington Civic Trust Awards were established in 2002 by the Trustees to recognise projects which enhance the city and contribute to making Wellington the best city in the world in which to work and live. The purpose of the awards is to recognize projects that reflect essential/unique Wellington character. Entries in the Grant Tilly Memorial Award may include the preservation of character buildings which Grant so ably and passionately captured in his many artworks. At the Council Chambers, Wellington Town Hall, the inaugural Grant Tilly Memorial Award was presented by Her Worship the Mayor, Celia Wade Brown, on 21 May 2013. Brent Henderson (builder) and Susan Price with the Mayor, 21 May 2013.